If you're after custom cycle clothing there are a lot of options out there these days and the process of getting exactly what you want is surprisingly easy... as long as you go through the various stages methodically. Plan far enough in advance and it should be stress-free. Just to make it clear, we're talking about custom graphics here, which is what most people mean when they mention custom cycling kit. We're not talking about customising fabric choice or fit. Although custom kits are traditionally associated with clubs, plenty of non-club riders are getting in on the act these days. "We're getting more and more groups of mates coming to us for custom clothing now," says Santini's Jonathan Sangan. "It could be a group of guys who have always met up at the café and just fancy having something a bit more fun to ride out in, they might be planning a trip — going to ride in Mallorca or the Stelvio or something like that — and they want their own special kit, or they could be doing a sponsored ride. We do a lot with cafés and coffee shops too. We can work with them to provide a kit very easily." It can be like having your own mini-club, but without the paperwork! Castelli has produced a quick video to show you what's involved in its custom process. It might look complicated but it's really just a matter of going through the various stages. 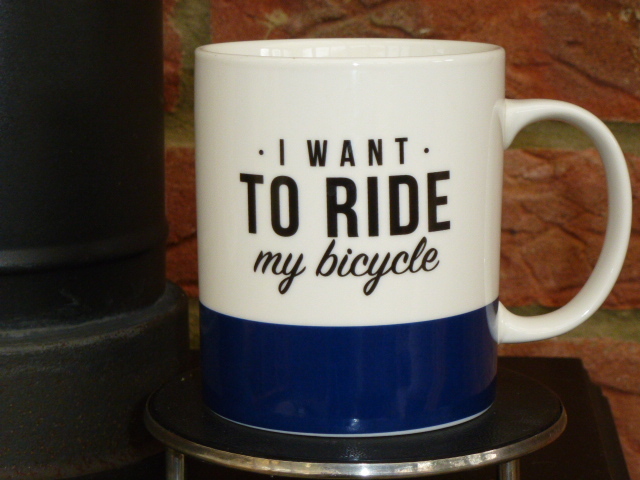 If you already have a favourite cycle clothing brand in mind, get onto the internet and find out whether it offers customisation; some do, some don't. If you're hoping for specific items of clothing, check that these are included in the customisable range. Again, that's not always the case. Primal Europe, for instance — which makes the road.cc kit — shows all of its men's custom cycling products here and all of its women's custom products here. You can refine your search by filtering for jerseys, jackets or whatever else you're interested in. Not all cycle clothing is created equal, of course. Some is higher quality than others, some is high-tech and some more basic, some is best suited to racing and some is more relaxed, so you need to take a good look around and decide which is right for your needs. Above all, check out the seatpad in the shorts because if that's no good you're in for a torrid time and your riding buddies/club-mates will hate you forever! "There's nothing better than getting feedback from other clubs and teams about who they've used and what the service was like," says James Smith of Primal Europe, the brand that's kit partner to Welsh Cycling and Velo29 Events. "Look on the internet for reviews and use a reputable supplier. If you've not used a particular brand before, and neither has anyone you know, then it's probably not a good idea to be the guinea pig." If you're new to any particular product, ask to see and try on samples to make sure you're happy with the fabrics, the features, the cut, the sizing, and so on. You don't want to take any chances here because you can't just exchange custom kit if it isn't exactly what you were expecting (you can, of course, return it if there's a manufacturing fault). Primal Europe makes our road.cc kit, for example, in a Race cut for skinny whippets and a Sport cut for everyone else. The Race cut is more expensive because although less material is used, the shorts and jersey are made up of more panels so there's extra work involved. You might just want to order jerseys and allow everyone to ride in shorts that they own already, or you might want to order the whole shebang. You can get pretty much everything in a custom design, from overshoes to gilets, mitts to thermal headbands. Brands will usually give an online size chart and often assure you that their 'medium' sizing is the same across the board, but our experience is that if you want to be sure you should get everyone to try on an example of what they're intending to buy. Fair enough, if you're of the 'near enough is good enough' mindset then you might be prepared to wing it, but it's safest to try before you buy. That might be a faff, particularly if there are a lot of people involved, so make sure you allow some time for this (see Timings below). You can request samples from Endura, for example, via a simple online request form. If you're interested in kitting people out with the Endura Pro SL Roubaix Jacket, for example, you find the product on the list and tick the relevant size boxes. Simple! Endura will send you the samples and you'll have a fortnight from receipt to try them on and then return them using a pre-paid returns label. Other brands have their own systems to help you get what you're after so there's no reason to get caught out here. How is your custom clothing going to look? It's best to approach a brand with a good idea of what you want the finished design to look like rather than going in blind. If you're after inspiration, brands like Primal Europe offer examples of different styles you can incorporate into your own design. Some brands have set design templates that they like to work to while others are take a more bespoke approach. Endura asks that you email a digital photo or a scan of a sketch or complete its online custom artwork template. You don't need to be an accomplished artist because Endura's graphic designers will take what you supply and turn it into print-ready artwork. You should allow a week for this. Then you'll be sent what's called an interactive 3D render of the design for your approval. This allows you to see online what the finished product will look like from all angles. Alternatively, if you have a graphics editor like Adobe Photoshop you can use the Endura.me 3D Clothing online system to create your design. Endura charges a flat fee of £75 plus VAT for each new print design set-up (it won't be charged again if you place a further order). They'll waive this if the order is worth over £2,000 or if the artwork is a plain colour or extremely simple. If you're interested in Castelli you need to make contact via https://saddleback.co.uk/pages/servizio-corse. You can download templates and make drafts of your designs. You then email your designs to Castelli along with any logos you want to be included. Castelli's graphics department will develop your ideas into workable designs and supply you with live 3D proofs. Castelli's kit design service is free, however, a small, one-off set-up charge (up to £200) may be applied for orders under £4,000. Castelli reduce this charge pro-rata for orders under this figure (you'll be told the exact sum in advance based on your initial order quantities). The design process is free with Santini. Well, 'free' in that it's not an extra, it's included in the overall package. Champion System doesn't charge any artwork or setup charges either. It's something that's worth checking when deciding where to place your order. Brands including BioRacer and Pro Vision have no minimum order sizes for custom clothing but most others do. With Alé, for instance, customisation is available for a minimum order of 20 pieces, Castelli accepts a minimum of 10 units per model while Primal Europe has a minimum order of five. Bear in mind that a brand might have one minimum order size for most types of clothing, another for accessories (gloves, caps and arm/leg warmers) and perhaps a third for socks. Minimums tend to be highest for socks and caps. "A lot of people are willing to pay a lot for their general cycling kit, but the weird thing is that when it comes to their own club kit — which they'll often wear way more often — they aren't as willing to spend their money on top-end kit," says Primal Europe's James Smith. "It's a strange idiosyncrasy that we have in the UK." We'd urge you not to simply go for the cheapest kit you can find because you might end up disappointed by the quality. Economies of scale mean you'll pay less per item on larger orders — that's the way of the world! It's the same amount of work for the graphics department, for example, whether you're buying a run of 10 jerseys or 50 of them, it's just that the cost for the time and expertise involved can be spread more thinly with a larger order. For that reason, most brands work in pricing bands. You might get one price if you order 10-29 units, for example, another price for ordering 30-59 and another for 60+. "Custom prices represent great value for money, considering you are getting a personalised service," says Jonathan Sangan of Santini. "Price of course depends on the quantity of your order. Expect to pay around £55-£65 including VAT for a quality jersey." You might also have to pay a one-off design charge (see Designing the artwork, above; if there is one it's usually less than £100) and perhaps a surcharge if you aren't able to provide logos in the required format. Some brands will push your order to the front of the queue if you need it super-fast, but this will cost you extra. There might also be delivery charges although some provide free delivery on orders above a certain amount and others offer free delivery on orders below a given size! Some of these costs might not be immediately obvious so ask about them up front so as not to get any unwelcome shocks on the invoice. Primal Europe's price, for instance, includes initial design, two revisions, art setup and unlimited colours. It's worth getting similar information on what's included in the quote of other brands you're considering. You'll have to pay a certain amount when you place the order — brands obviously don't want to get stuck with a whole bunch of custom kit that hasn't been paid for. Castelli, for instance, requires a 50% deposit when the order is confirmed and payment of the remainder prior to delivery. These are common terms. Some ask for full payment before starting production. Brands such as Endura and Champion System allow individual members of a team or group to pay for their own orders online so you don't have to collect the money yourself. It can be posted direct to them too. Timings can vary according to the brand, demand and the time of year, but it's always going to be a few weeks. Raceskin says that its lead time is between four and eight weeks although there is an express option that can be as quick as three weeks. Pactimo offers delivery in four weeks but most brands take longer. Endura says that its estimated production time is currently nine weeks and that all orders were received on time last month. Hold your horses, though. Production time is measured from the date that artwork has final approval, the order is received and the deposit is made. Bear in mind that it could take a while to get to that stage. "If you have a design in mind and you have your logos in Vector format, we can create a design and have it back with you in three days," says Santini's Jonathan Sangan. "On the other hand, if you're starting from scratch, we can come up with some design ideas for you based on your preferences, but you're probably going to need to show them to other club members and find out what they think, so I would allow about two weeks for this. "You also need to have a look at a size set and do a fitting, so allow about 10 days for that. You'll then put an order together and within three days of that you'll have a deposit invoice. Once you pay that you're into the production time of about 50 days." Add that lot together and you're looking at a process of 11 weeks, but it only takes one person to be slow deciding on the type of clothing and sizes they want to delay it for everyone. Primal Europe quotes a turnaround time of eight weeks on a typical jersey order once artwork is approved and the order placed, but says that the amount of time taken to get to that point varies wildly. "You get guys who will get everything sorted at their end in a week while some clubs will take two years! The bigger the committee the harder it is," says James Smith. Primal Europe gives a guaranteed delivery date, which is important if your kit needs to be ready for a particular race, event or trip. Primal recommends getting started at least 12 weeks before you'd like to have your kits in hand to allow for ample design time and revisions. "We can book our deliveries up to a year in advance," says James Smith. "If you say you want your kit by 1st February, we'll guarantee that we'll get it to you by that date if you get your order in by a specific time." Leave yourself less time and you'll have fewer options open to you. You can help things run smoothly by having a firm idea of the design you're after, giving the brand you use as much visual direction as possible and making sure people get their orders in early. 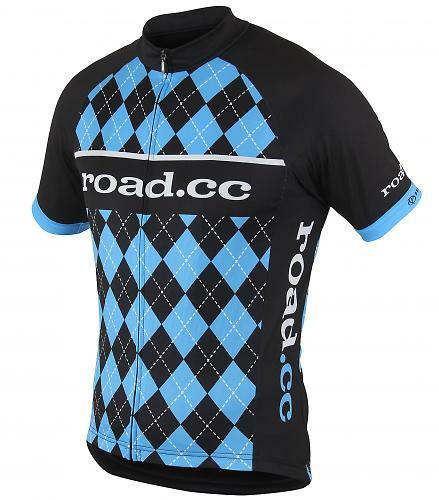 There are certainly mistakes to avoid when ordering custom cycle clothing. "The worst thing you can do is to buy cheap, low-quality custom kit, especially if you're used to riding in good, well-made clothing," says Santini's Jonathan Sangan. "If you can afford it, always go for the better seatpad." Jonathan also suggests that you spend some time making sure you get the right cut of jersey for the group. "It's often the keenest racers who organise the club kit and they think everyone else is a racer when they're not! There has to be a bit of compromise. That's why trying on the product before placing an order is so important." Primal Europe's James Smith suggests that you do your research thoroughly and go with a reputable brand. "We hear of a lot of people who have gone on Alibaba and bought jerseys direct from China, and then been disappointed when the jerseys weren't released from customs. If you use someone who doesn't have the correct Customs and Excise registration, your kit that won't be released until someone has paid the tax on it." Which companies have you used for your custom kit and were you happy with the service and products? I got an Endura.me one off cutome jersey made up, the Race jersey has been through at least 6000 miles now, and many washes(!) and is still excellent, fit is amazing, like a 2nd skin. It was 90.00 I think and you can order just one if you want, no minimum quantity. Here it is https://endura.me/design/details/2d0f7db5-554b-e711-80c2-000d3a2087e5 I also got a Primal Sport cut jersey through my club and it is baggy and the material was quite polyestery. Having said that quite a few people in the club like it, but I hated it and only wore it once. Your jersey's done 6000miles and you've washed it already? You'll be one of those southerners I expect. Yes, I believe that's Tim Gould. He has been riding cyclo-cross and MTB at national level for several years after some time away from racing. He's currently riding for Zepnat and was at the sharp end in the National Trophy series in the Vet 50s. Nick Craig is a phenomenon. At the national champs last month he was one of only 12 people who finished on the same lap as Tom Pidcock in the senior race... after finishing third in the vet 40s the day before! Nopinz do awesome custom kit too.